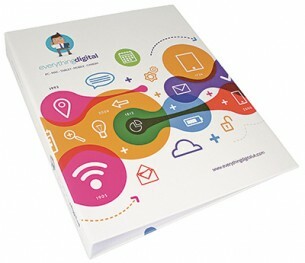 For a sturdy and attractive binder that shows off your branding, the Binderpod - A4 Size is the perfect choice. This ring binger has a 25mm capacity and has a hard back, providing protection and storage for documents while ensuring your brand gets some great visibility. The perfect promotional item for office workers, it will also be useful for your employees. With this item, we use digital or litho printing to print your branding.